You are here: Home / HVAC Info & Articles / Articles / Which Filter Type is Best for Allergies? Which Filter Type is Best for Allergies? One of the most important parts of your HVAC system is the least expensive. Disposable filters make it easy and affordable to change your filters regularly. Bi-annual maintenance typically includes filter replacement, but changing your filters yourself quarterly or even monthly helps to keep more allergens out of the air and keeps your system running efficiently to prevent expensive AC repair in Burlington. For those who suffer from severe allergy symptoms, standard filters may not be enough. Some filters are designed to remove both higher quantities of particles and smaller particles from the air. Here’s how to determine what type of filter will work best in your home HVAC system. You may have heard of HEPA (High-Efficiency Particulate Arrestance) filters. They are used in HVAC systems, vacuum cleaners, air purifiers, and other appliances. HEPA filters are designed to remove the smallest particles from the air, including pollen, dust mites, and other allergens. It’s not wise to simply install a HEPA filter in your HVAC system without first doing some research. Not all residential central air systems are equipped to work with HEPA filters, which tend to restrict airflow because of the thicker filter material. Some systems, primarily commercial systems, are strong enough to maintain airflow with thicker filters, but many residential systems are not. Consult your HVAC maintenance provider before switching to a different type of filter. Filters are assigned a MERV (Minimum Efficient Reporting System) rating from 1 to 20. The higher the rating, the finer the particles that it will filter from the air. It is also safe to assume that the higher the MERV rating, the lower the airflow that can pass through, and therefore, the stronger the HVAC fan will need to be in order to draw in enough air to function properly. You may find that a basic non-HEPA filter with a moderate MERV rating of 10 or higher will be sufficient enough to achieve the level of clean indoor air you require. And it is more likely to be compatible with your current HVAC system. 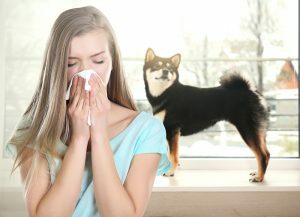 If you or someone in your household suffers from allergies or other respiratory illnesses, it may be worth your while to give extra consideration to the filters you use with your HVAC system. If you’re not sure what type would be best for your home and model, consult Alamance Oil, your top AC repair service in Burlington. Alamance Oil can evaluate your home and HVAC system in order to give the best recommendation for a filter. You can even order replacement filters through Alamance Oil, either directly from your technician or online. Call (336) 226-9371 to speak with an associate today. https://www.berico.com/wp-content/uploads/2018/12/header-logo-new-3a.png 0 0 Team Berico https://www.berico.com/wp-content/uploads/2018/12/header-logo-new-3a.png Team Berico2018-08-03 09:00:312018-08-06 13:58:14Which Filter Type is Best for Allergies?